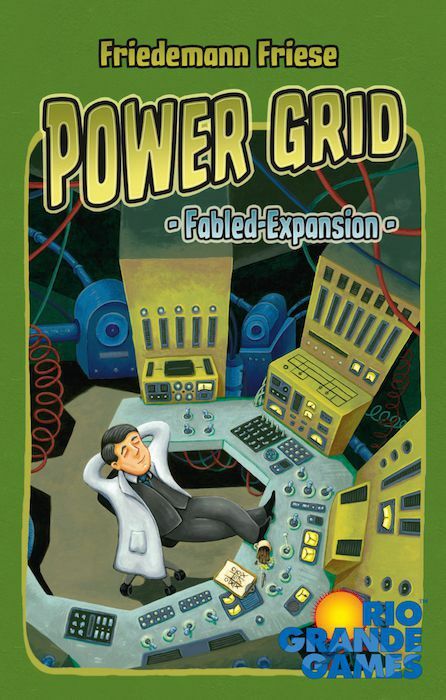 Power Grid: Fabled Expansion offers completely new experiences for both the Power Grid and Power Grid deluxe base games through the new Fable Game system introduced in Fabled Fruit. With two presorted Fable Decks, the players are confronted with exciting challenges in different campaigns on the maps of USA, Germany, Europe or North America. Each campaign is played in three consecutive games, and in each game the players reveal Fabled Cards as their conditions are met. These Fabled Cards add new rules to the gameplay. With two players, the "Against the Trust" rules are in effect.